Poker is an awesome sport to pursue. It’s so wholesome- it challenges the mind, it is extremely exciting when you get the hang of it, oh, did we mention the moolah you get to make? Read on to know how cool poker is and why it is a sport you HAVE to play! To venture into poker, you only need a desire to actually play the game. We’re serious! Start playing for small amounts and then when you are more comfortable with your style and strategy, experiment with a variety of bigger amounts to arrive at a sweet spot! Observing people, reading through facades, emotional control, financial discipline, risk assessment, weakness analysis, drawing lessons from mistakes and bad circumstances, working to achieve long-term goals.. Playing poker equips you with skills that will last you a lifetime. You want to get street smart and extremely savvy, PLAY POKER NOW! Poker is extremely popular and you just have to google the term to find yourself inundated with the choicest of Youtube videos that teach you poker. You can begin watching these videos to learn the basic steps. Practice is important, so make sure you play as much as you can. Regardless of whether you play online, or, play at home, periodically gathering with friends and colleagues, poker is a universal language that unites people all over the planet. You report only to yourself, the mathematical variance and that green curve on your chart. What could be better than waking up at 7 am and realizing that today is Saturday, and you do not need to go to work and all you have to do is get on your mobile or your laptop and play poker all day? If you have a laptop and connection to the Internet any place on the planet can become your office. Unlike most competitive areas where you will never meet and communicate with the best players / athletes, in poker you can check your skills and knowledge against the best of the best on any day. How do you do that? You just observe their game and watch them reveal their tells! Yes, discipline is a key skill that has to be learnt and followed all your life. Why not equip yourself with it by playing poker? Playing poker teaches you to wait for the right cards AND the right time to play them to reap rewards. In life, the lesson you can carry over from this is to curb your impulses and wait for the right time to make your move and achieve the goals you have set for yourself. Position in poker refers to where you’re sitting on the table in relation to the dealer button. It is one of the most important factors in a game of poker. Playing out of position is one of the most common mistakes made by amateur poker players. It often makes them vulnerable to moves made by players in position. Similarly, playing in position allows one to impose his/her will on others. Playing in position means, that you are the last one to act. In a game where no one straddles, the person holding the dealer button is always the one “playing in position”. In Texas-Holdem, there are 169 starting hands. As a beginner it’s best to keep it simple by only playing when you have a really good hand given your position. As shown in the picture below, there are generally 4 positions where one could be categorized. One’s starting hand/pre-flop range depends on which category one belongs to. Sticking to these starting hands will also make your post-flop decisions much easier. There are a lot of factors that affect the range of your starting hand when you’re in this position. Hence, for beginners, I would suggest that you refer to the early position starting hand range to make things easier and less complicated. This is the worst position to be in as you’re the very first person to act. In this position one should play less than about 7% of their hands. This might sound a little conservative, but as a beginner or even an intermediate player, it’s best to fold anything but JJ, QQ, KK, AA, AK or AQ. As your position improves you can increase you range of starting hands as there will be less people left to act and your position will improve after every betting round. In this position you could play any middle range pocket pair, i.e 7 pair and higher, and A10, AJ, AQ & AK. It doesn’t matter if the combination of your face cards is suited or not. Your position is decent enough for you to get into the pre-flop action with them. This is undoubtedly the best position to be in. I would suggest not just calling the blind but raising with any pocket pair, J10+, Q10+, K8+ and A and any other suited card. But if someone has already raised before you, I would reduce my range and only call with, 55+ A8+ and any combination of face cards. In lower stake games players usually tend to raise out of position with mediocre hands that they overvalue. It is situations like these that being conservative and playing hands within your range will lead you to win these hands. For example, players siting in middle position often tend to raise with A and a low kicker. If you have position on them and play within your range, sitting with A too, most of the time you’re going to be dominating their hand just because of your kicker. Once you get a bit more experienced and start to sense how tight or loose your opponents are, you can start increasing the range of your starting hands. But till then, do yourself a favor and only stick to the basics. This article is written by Sai Dutta, an advent poker player, who plays 72 as pocket A’s. Hand reading is a poker skill that basically allows you to predict and correctly assign a range of hands that your opponents might have at the poker table. This is a very important skill which helps you make better decisions, and of course, make more money in the game. Given the fact that it such an important aspect of poker, hand reading is a complex topic which players keep working at throughout their career. In this post, we'll try and simplify this topic for people new to the game. A word of caution - like everything in poker, hand reading is extremely player dependent. If you have played with an opponent for a long time and know his common tendencies, then go with that read. But if you are playing against an unknown, or you are unsure about a spot, then revert back to these basics. Entering the pot pre flop by raising, instead of limping is a proven profitable strategy. If your opponent deviates from this by limping in, what does this tell you? It tells you that they don't have premium hands like AA, KK, QQ or strong aces like AK or AQ. Suited connectors and gappers, broadways, weak Aces, Kings and Queens, sometimes even complete garbage - hands that they want to see a cheap flop with. Essentially, this tells us that their range is wide and is devoid of the topmost hand categories. Caveat: However, some tricky players might like to trap with premium hands pre-flop. More often than not, they are hoping that someone raises over their limp, and then they can reraise when the action comes back to them. Weak players give away the strength of their hand based on their bet size. Their bet size is directly proportional to the strength of their hand. The way to exploit this strategy is by folding more when they bet bigger, and calling/raising more when they bet smaller. To ensure that we don't make the same mistake, our bet size should be based on the range of hands that we can have, and not on our exact hand. There is also a segment of players who employ a complete opposite strategy - betting small when they are strong, and betting big when they are weak. This is not a strategy we would ever recommend,because what you are doing here is essentially making less money when you have a strong hand and losing more when you bluff. The amount of time a player takes to call a bet is a reliable source of information. If a player calls a bet quickly, this means that they have a hand which doesn't require too much thinking - medium strength hands (like second pairs) and draws. Think about it this way, if you had a very strong or very weak hand, you would at least take a few seconds to consider whether to raise or not (either to extract value or bluff out better hands). When your opponents snap call your bets, it allows you to exploit them by applying pressure on some turns and rivers and forcing them to fold their medium strength hands. The hands a player can have in a spot changes based on his type. Loose-Passive - They play a lot of hands by calling instead of raising. This makes their range wide and allows us to value bet more hands. Loose-Aggressive - They play a lot of hands by raising. Their range is still wide and we can bluff-catch and trap with more hands. They'll make more betting mistakes than calling mistakes. Tight-Aggressive - This is the default play of a good player. Their range is narrow and we have to be careful with the hands that we chose to play because they will regularly apply pressure and will show up with the goods quite often. Tight-Passive or Nits - They play very few hands and do so by calling instead of raising. We should bluff-catch less and value bet only strong portions of our range. Good player not only play a good strategy, they also try to get into the head of their opponents. Level 1 thinking - what do I have. Level 2 thinking - what does my opponent have. Level 3 - what does my opponent think I have. We always want to be one level ahead of our opponents. Against most players, Level 3 is a good place to be. If we are facing a good thinking player, we might have to go further into this meta-game. Hand reading is an ever evolving topic that cannot be covered in a single post. What I have given you here are some of the basics that should come in handy. If you find this useful and feel that you are making better decisions, let us know in the comments below. And maybe we'll do a series of these. I am back and I am here to guide all of you poker noobs (like me), trying to make sense of the their way across the shark infested waters of poker land! Before I launch the poker experience rollercoaster, must talk about the reactions of people around me when I announced my new “passion”. The sheer reactions of people are worth sharing – incredulity, outrage, condescension, annoyance and the rest of the anger related emotions. Only one person said – relax and have fun. That said, let me now tell you why and, how much I am enjoying the poker fun. The adrenalin rush comes from the skill and strategy issues, and to a large extent, gauging the persona of the sharks, err.. I mean PP (Professional Pokerists). They come in all variations of shape and temperament. For the Koi (a type of colourful fish, perfectly harmless, just like me or any average newbie) wanting to swim in the deep waters of poker among the sharks it is high priority to sort them out first. The pokerwallahs can be categorised as Aggros, Bluffers, Blusterers, Bullies, Blunderers (usually Kois), All-ins, Gamers, Helpers, and Gappers and so on. It is very important to ‘judge’ your opponents before playing online poker. Remember, you can’t see their faces, body movements or expressions! There are certain rules I have made up to keep myself being enticed too deeply into the intrigue called poker. Rule No.1 – Beware the bullies and the aggros. 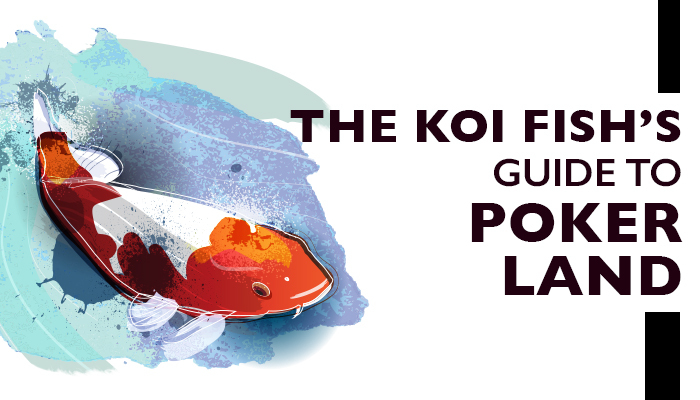 No matter what hand you have, the moment they are aware of Kois on the table, the bidding shoots up pre-flop! Even the pocket Aces tremble before their might. Rule No.2 – Bluffers and Blusterers come into the scene after the flop. This is not for the faint-hearted. This is where you have to very cautious; look at the cards in your hand and on the table very seriously before making a move. Rule No.3 – Try to follow the Gamers and Helpers, they may have a better idea of what is going on. They are usually safe to follow, unless they have Broadway Hands. Rule No. 4 – The Gappers and Blunderers are the most difficult to judge, but worth watching to see their reaction to the bets, not be nose-led by them definitely. Rule No.5 – All-ins... They are rule unto themselves. Still haven’t figured out a way to deal with them. However, some of the players genuinely have a good hand when they jump in the well. Most find water and a few foolish Kois find hard rock good enough to break bones! Speaking frankly, I shudder and quickly fold when people are doing all-ins. All said poker has become an exciting challenge to me. Sharks can intimidate and frustrate you, but for the immense joy of outsmarting them I will continue to explore this game which is more about skill and alertness than a game a chance and luck. Betazoid regularly signs in to pour out poker joys, woes and expendable insights after almost a month of online poker playing. No one can escape this Koi fish’s wrath! Well, poker’s played in two main formats: cash games and tournaments. A tournament is where everyone pays a fixed amount (say Rs 100) and starts with the same number of chips (say a stack of 10,000 chips). You bet as usual, eventually someone will run out of chips and get knocked out. The remaining folks keep playing. Last 15% of players left standing get prizes - for instance, in a 10-person tournament there might be 2 prizes, and in a 1000 person tournament there might be 150 prizes. Yes, at 9stacks, we are putting time and effort in developing “fast” tournaments that casual players can enjoy when they have lesser time on their hands. For instance, our “Mig-29” tournaments all last at most 29 minutes, and our “6-shooter” tournaments are restricted to 6 players and last exactly 12 minutes. At that time, if more than one person is left, then the prize money is determined by relative numbers of chips. 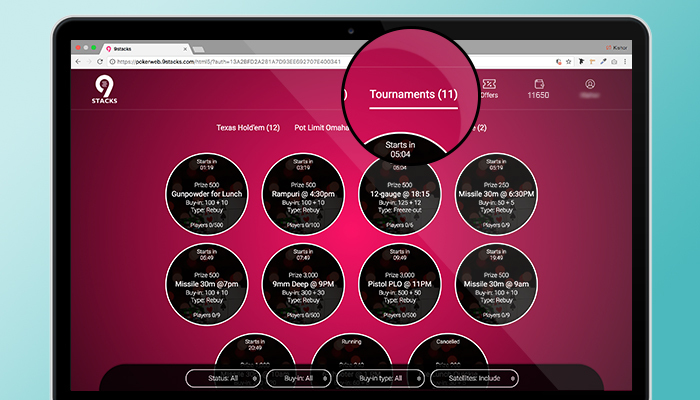 (If there’s a hand in play, that hand is completed) We’re also experimenting with other fast tournament formats, keep checking in! Let’s take an example: In a "200+20" tournament, each player contributes Rs 200 to the prize pot and pays Rs 20 as a fee to the house. So if 12 people register, prize pot = 1200. The prize pot is usually divided such that about 15% of participants get prizes - so 2 players, in this example. In this example, the winner might get say 800 and 2nd prize winner might get 400. 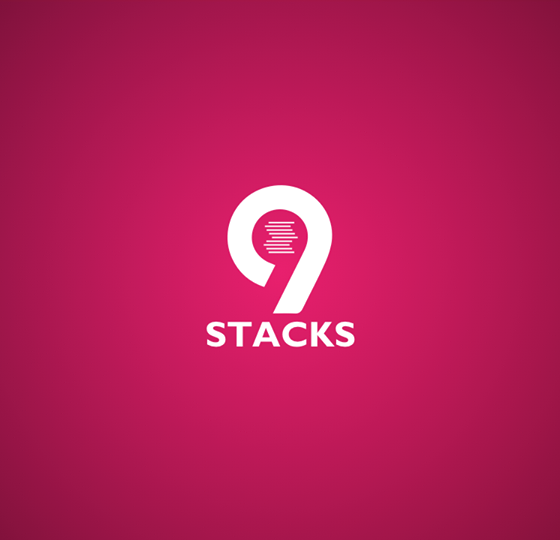 We at 9stacks guarantee a minimum prize pool (usually equal to 5 players) for every tournament that gets scheduled- so if say only 3 players register, we will throw in an added 200 so that prize pot becomes 500. (The exception is that if less than say 2 players sign up, a tournament will automatically get cancelled, but that is quite rare). So what do you think? Want to join us for a tournament? It'll be super fun! The first step towards improving your game starts Pre flop. Usually, beginners like to see a lot of flops and be in the mix of the action. I can't blame you for that; folding isn't fun. But choosing the wrong hands to play pre flop can compound into multiple mistakes post flop and result in a big loss. For example, let's say UTG raises and you decide to call with K8o in UTG+1. The board runs K high and you are facing bets on all the three streets. What do you do? You have top pair but with a bad kicker. You call and the villain shows you AK. This was a classic case of running into a dominated hand. Calling with a weak K or weak Ace is one of the most common beginner mistakes. So what should a solid starting hand strategy look like? Let's find out. The odds of being dealt a pocket pair are 1 in 17 times or 5.88% chance; pocket pairs are rare. You can not go wrong with playing with these hands. But a word of caution - if you are facing raises and 3bets in front of you, it is OK to let go of the bottom of this range (22, 33 etc.). This is because, small pocket pairs will quite often not win at showdown. And the chances of them making a set are not good enough to justify a call given bad odds. - They don't run the risk of being dominated by a better kicker often. - They also do well to balance your range. It keeps your villains guessing what you might actually have and they can't exploit you easily. Hands like 79s, 9Js are decent hands to play because they make concealed straights and flushes. So, it is often easy to extract value. But remember to not go overboard with them and choose the situations carefully. Hands like weak unsuited Aces (A6o, A7o etc), weak Kings both suited and unsuited are bad hands. They make weak hands post flop and run the risk of being dominated as we discussed earlier. Hands like 78o, 9To, 79o, 86o look like decent candidates to take a flop with. But remember that the odds of making strong hands with these are quite low. In the long run, you will lose more by putting in the money pre flop than you will win when you make a strong hand postflop. 8To, K9o, 7To, etc. - these are bad hands to play with. They don't make strong hands often enough and a lot of the times, you will lose a bet or two on flop/turn trying to make a hand with them. 28o, J5o, T4o - these are hands you just shouldn't play. If you've understood the logic for the hand selection so far, this should come intuitively to you. These hands make good hands very rarely. And when they do, it is hard to extract value. I hope this helps improve your game. Leave your comments and questions below. NOTE: This article is just a starting point for beginners and is by no means the only correct way to play. The hands that you play with will and should change based on different factors: opponent types (are they tight or loose), stack sizes, table dynamics, position. Most of all, it depends on how good you are at playing them. As your game improves, you can add more hands to this selection. When I was a kid, I used to play badminton. I wasn't great but I managed to eke into my school team for a zonal level competition. Our star player was a guy who had made Badminton his life's number priority. His schedule included waking up at 5.30 in the morning, a 2-hour practice session with his coach, school, another practice session. Needless to say, he was a damn good player. Poker is no different - to be really good, you have to put in the hours. But, how and where? The number of resources to study Poker are innumerable. Let's get down to what we think is the right way to study poker. 1. YouTube Videos - YouTube is a huge resource of poker videos: Poker TV Shows (Poker After Dark, High Stakes Poker, etc. ), Hand Breakdowns by Pros (check our article on Best YouTube Channels), Tournament Highlights. There is a lot of variety and usually they come with commentary, so it is entertaining to watch too. This is the least difficult method to get started on. 3. Hand Discussions/Forums - A good way to learn quickly is to surround yourself with other poker players and have a discussion with them about your hands. If you don't know any poker players, you can join forums like Two Plus Two and post your hands there. 4. Hand History Reviews - You'll play a lot of hands but won't always have the opportunity to discuss all of them with others. So, it is a good idea to review them yourself. To do this, you can use the help of software, and see if you played it right. 5. Twitch - This is the newest source of poker knowledge. A lot of poker players these days are streaming their online poker sessions LIVE (Lex Veldhuis, Jason Somerville). And they constantly explain why they are doing certain things. It is a great way to get into the head of a pro and look at their thought process. 6. Coaching - Finally, if you are looking to take your game to the next level, hiring a personal coach makes sense. Usually, these coaches charge on an hourly basis. But, the personal attention and the steep curve of improvement makes it worth it. Hope this helps. Let us know your thoughts, opinions and questions in the comments below. Mayank Jain is a writer who plays poker for a living. He writes at http://mayankja.in/ on mindfulness, travel and art, among other things."